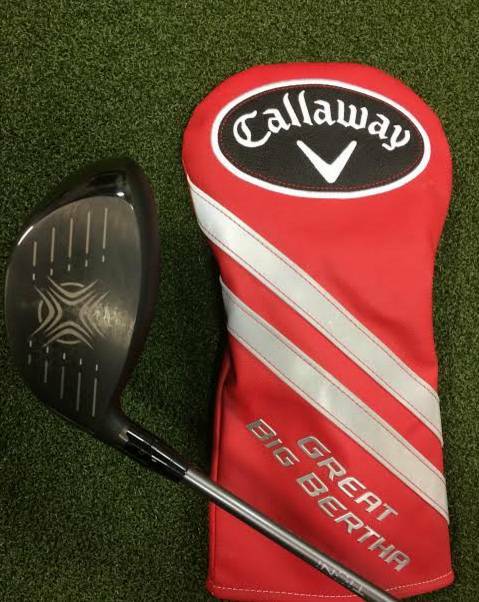 Callaway was calling upon its lineage for its 2016 driver release, following suit with Cobra and the “King.” Callaway’s new version, the 2016 model, of the Great Big Bertha may be the driver of choice among the new equipment which hit the markets. Released in conjunction with the Big Bertha Alpha 816 Double Black Diamond, these two drivers could give golfers some of the most versatility in the industry for drivers in 2015. We didn’t hit the Alpha, as it’s designed more for better players and its usage would be for a more select and targeted group, but we did hit the Great Big Bertha and we liked what we heard, saw, and felt. Yesterday's victory by Kiz marks the 4th win for #GBB. 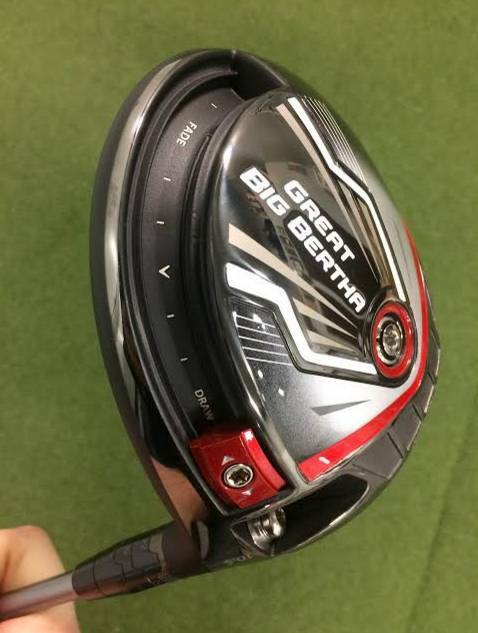 Now while Callaway spent the last month playing golf at Petco Park, the home of the San Diego Padres, I was spending time working with the new Callaway Great Big Bertha driver. (No seriously, though– Callaway built a nine hole par-3, watch below, we’ve embedded a few of their videos). Kenny Mayne, doing his Kenny Mayne thing. His dry sense of humor will never get old. With this driver, speed came at the forefront of the design philosophy. With more speed, comes more distance. With more distance, comes (hopefully) a chance at lower scores. If the driver is the club that sets your game into motion, it’s only best you hit it as straight, and as far, as possible. The core of this driver’s technology comes in the R•Moto technology, patented technology by the Callaway corporation. This technology is designed to give club makers the ability to use a thinner face which responds with faster ball speeds. Photo showing the R•Moto technology. The R•Moto technology comes in the form of ribs that are located on the crown and sole of the club, connecting those parts to the face of the driver. This makes the driver lighter, as it necessitates less titanium for reinforcement, and also makes it more forgiving. With a thinner face around the perimeter of the club, golfers who struggle with mishits will have faster ball speeds than many of the competitors in the industry. Available in lofts of 9, 10.5 and 13.5, and with adjustability, there are more options than just those. A 10-gram adjustable weight sits on the backside perimeter of the club gives golfers the ability to fit the driver to suit their game. It’s the combination of the weight, along with the adjustability in the hosel, which will give golfers the options to lock their specifications in and start hitting it better than ever. Set the club to draw, set the club to fade, or set the club somewhere in between. Testing with this weight will help every golfer find their best driver face, easily. Look how simple! Concerned about the shaft? Don’t be. Take a look at this tweet from the Callaway team. They’ve got you covered. My recommendation below, is that you be sure to get fitted for a shaft which fits you best, then make sure the driver is both spine aligned and frequency tested for optimum fit. When we tested this driver, it was one of the best drivers we’ve hit all year. Unfortunately, we were unable to get the perfectly fit shaft for testing, but from a head and face perspective, this club lived up to the billing. The feel of the club was phenomenal. With the lighter weight, impact perhaps felt a little more unstable (Callaway reps would argue otherwise), but center strikes performed seamlessly. With our testing on the Flightscope, we were able to get some desirable numbers with consistency (look at the middle three, all total distances finishing within a yard of one another and ball speeds within 0.8 MPH). You’ll notice from any pictures taken of the sole (below), a weight located in the center of the head. This places weight lower on the club face, giving the club a lower center of gravity of lower spin. With the driver, this is ideal. If you look at the spin above, on the three good shots in the middle, spin was in a favorable place, in the mid-2000s. With the tracker slid all the way to a draw emphasis, we noticed a bit of a lower launch and a right-to-left (draw) shot shape. I typically hit a draw, so this was expected. Having the face set this way seemed to help make sure it turned over when I executed my swing the way I am accustomed to. With the robots, Callaway claims that they are able to have the ball move in a spread that is almost 19 full yards with the different settings. If we were all robots, we could get some significant ball flight changes! Nonetheless, this shows that there is truth to utilizing some of these settings. In conclusion, I loved this driver. I have since considered getting a proper shaft into it and making my first driver change since 2012 (decision still pending). I have some worries with the lightweight design on durability. 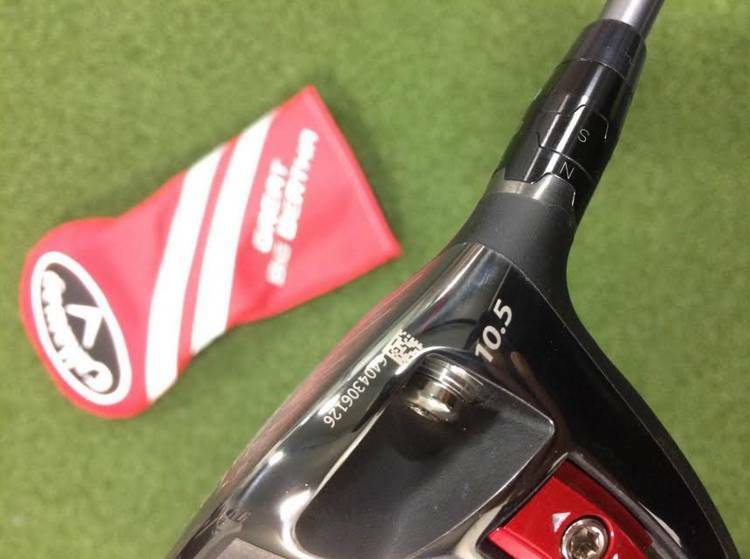 Surely this club will be more susceptible to faces caving in and dented soles and crowns, right? This would be a question I would present to the Callaway team if I had the chance. This, of course, may come to be disproven through elite technology and materials, and a few years worth of testing, but it’s a general concern of mine. Take care of your driver, and you should not have issues anyways! This is a great driver, one I was very impressed with from the Callaway team. If you’re looking for a driver to add to your bag, you wouldn’t be foolish in joining the Callaway team this year.